Travis Wilson is a Native of Wichita Falls, Texas and has lived in various other states to include Alaska and Oregon. In 1993 Travis Graduated from East Anchorage High. He attended Wentworth Military Academy for one year before deciding to enter the Army in 1995. In 2001 Travis left the Army to attend Boise State University and study Exercise Science. In 2003 He reentered the Army to attend the Special Forces Qualification Course. At the end of 2005 Travis Graduated the Q course and was stationed at Fort Carson’s 10th Special Forces Group. In 2006 Travis was married and had two Children named Mason and Liam. In 2009 Travis lost his father due to complications of Cancer and surgery and was, himself in a horrific near fatal halo parachute accident in exercises in preparation for Military deployments. In 2011 it was determined that Travis could continue his duties as a Green Beret. In 2014 Travis deployed to Eastern Europe, participating in enduring freedom. In 2015 Travis, had decided to submit his retirement packet after 21 years of Military service. In November of 2016 Travis received his retirement with an honorable discharge. 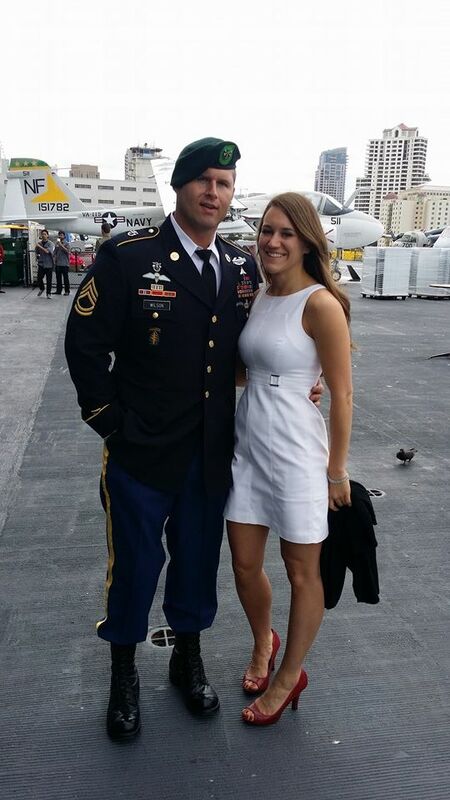 He spent 13 years as a Green Beret and has since re married and is now living in Coronado California running his supplement nutrition company, Alpha Elite Performance. His wife’s name is Emily Wilson.